Please review and check box below to indicate your understanding and acceptance of the following terms and conditions. Use of this website and this contact form does not create an attorney-client relationship between the user or viewer and Shellie Stephens PC. The legal information provided on this website is general and should not be relied on as legal advice. Legal advice cannot be given without full consideration of all relevant information relating to your individual situation. Please do not disclose confidential or sensitive information here. The firm has no duty to maintain the confidentiality of any information submitted by this contact form. Use of this form will not prevent Shellie Stephens PC from representing an adverse party. 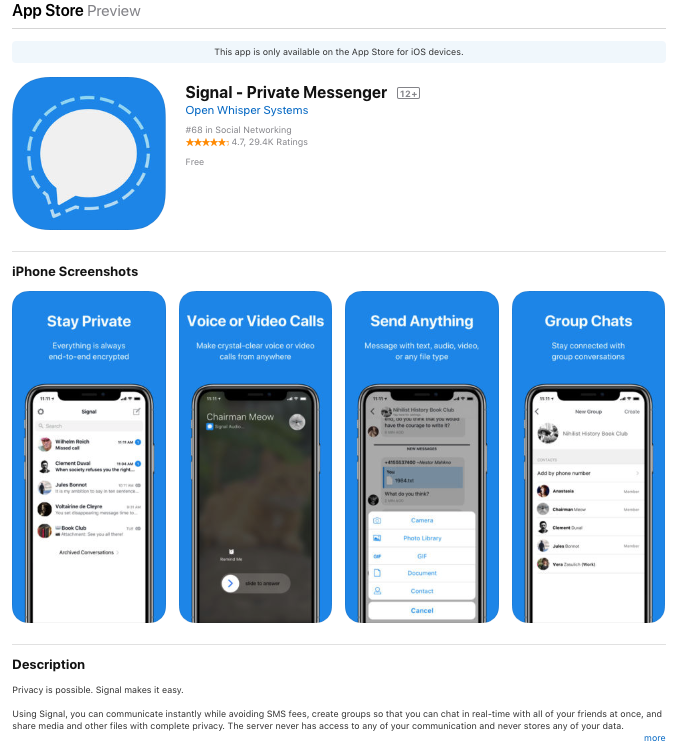 Once you become a client, I use the free Signal app on iOS for encrypted calls/video calls. It is also available for Android and Desktop. I have provided iPhone download and app store links below. Signal is the best encryption application to familiarize yourself with so that we ensure our conversations stay private going forward.